Civilization 5 is a turn based strategy game in which each individual player represents a separate country of their own. This game starts a civilization (or player) out from basically the beginning of time in which the game requires control over the group over the course of thousands of years to come. The game begins by giving each player a single settler in order to found their first primitive and simplistic settlement from basically scratch. Players are then given multiple turns in which they are allowed to manage units which represent both the military and civilian population. Since your empire starts from basically nothing, each player is required to explore new lands, found new cities, control each individual cities and workers productions, improve lands, control technological advancements, culture, diplomacy with other nations, manage food supply and economics, and finally manage full scale wars with other competing nations. Victory can be reached in several different ways when playing this game. Options for victory include research, exploration, diplomacy, expansion, economic development, or government and military conquest (my favorite). A few small things have changed from Civilization 4 to Civilization 5. In the newest game, you are no longer able to choose your religion, conduct espionage, or stack units. Cities however now have the abilities to defend themselves even if they aren’t garrisoned by your military units, which make the game a bit more practical in the beginning when exploration is your main priority even with barbarians in the area. Civilization 5 has also gone about introducing city states into the mix as well. These city states act as non-competitive players on the map which hold their own specialties and strategies. You are able to earn or even buy into an alliance with them for various resources, military units, or rights of passage through their territory. This throws a curve ball when it comes to military strategy as it becomes far easier to conduct a full scale water landing invasion if you strategically become allied with the right city states. 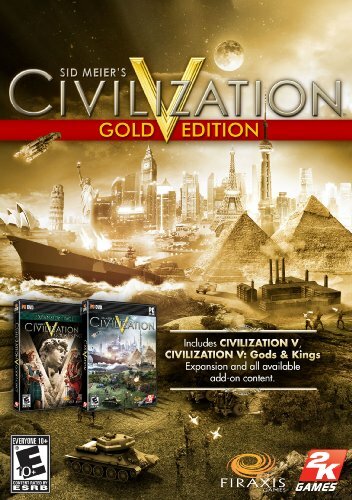 This game has also seen 2 expansion packs released since its development which have come as major successes. The first expansion “Gods and Kings” includes the reintroduction of religion, espionage, enhanced naval combat strategy, and 9 new civilizations to choose from. The second expansion pack, “Brave New World”, includes the ability to create international trade routes, world congress, benefits from tourism, greats works, 9 more additional civilizations, and eight additional wonders of the world in which civilizations strive to complete. Since this is solely a real time strategy game, there really is not exciting content to watch being played. It is only fun if you are paying it yourself as the strategy becomes more complex than any other game out there. 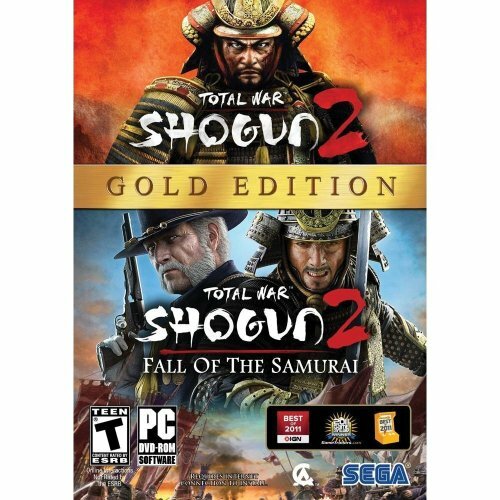 Much like the previous game of Civilization, Shogun 2 is a turn based strategy game allowing a single move from each player to be made before moving onto the next turn of the game. One of the main things that set this game ahead of the last game is the fact that on top of the turn based strategy, a player is allowed to take real time control on the battle field instead of having random rolls of the dice be the deciding factor in the military battle outcomes. This makes the game appeal to a much larger crowd as having the ability to control the outcomes of battles is a very appealing and fun process of the gameplay. While some of the shooting mechanisms and AI behavior can frustrate a player and cause changes in the battles that otherwise may not have happened, the option of having control of these battles makes this game so much more worth ones time. You will need to not only take control of the military strategy of this game, but you will need to successfully control your development of settlements, military production, economic growth, and technological advancements. Victory and advantage can be obtained through battles, diplomacy, political maneuvering, special agents, and as one would expect in any Japanese game of this time, Ninja and geisha in the forms of assassins and spies. While this game may not come be as complex as the Civilization games, the real time strategy giving a player control of the battles is ultimately what sets this game ahead. 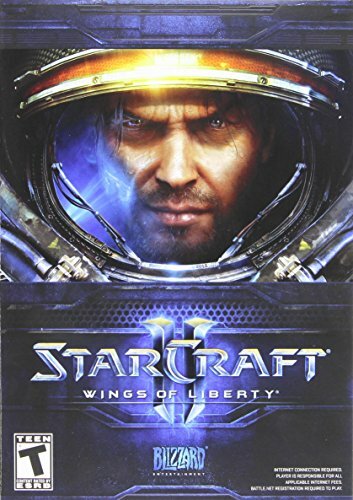 Having been created by Blizzard Entertainment, this game is a sequel to the 1998 award winning StarCraft and its expansion of Brood War. Unlike the previous two games in our countdown, this game has zero turn based strategy. Instead, this game is primarily focused on real time strategy and brings on a much faster paced feel to it. This game focuses on an epic war between 3 species. The Terran, which are the human exiles from planet earth having balanced strengths, the Zerg which are a bug-like species having strength in fast production and numbers, and the Protoss having strength in superior technology and mental capabilities. As you may have guessed, this game is based in the future and involves the vast realm of space in its campaign. Praised for its engaging and absolutely intriguing gameplay, Wings of Liberty contains 29 playable campaign missions to play through. As a single play through you are only capable of accomplishing 26 of these missions as there will be points through the campaign in which you will have to choose your path, thus altering the experience of future gameplay. Wings of Liberty has also been highly praised for its unique mission gameplay experiences in which constantly work to keep the player on their feet and guessing. This campaign seems to grasp the player and bring them along for an absolute roller coaster of excitement and emotion as the story continues. While the current campaign focuses mostly on the Terran race, there is however an expansion that has been previously released called “Heart of the Swarm” which allows a player to focus mainly on the causes of the Zerg race and explore their species on a more in depth level. There are also talks of yet another expansion with focus on the Protoss race called “Legacy of the Void” in which a player fights the war from the eyes of the Protoss. There is really no game out there that can compare to Starcraft 2. If you have any taste in strategic type games, this is the game you should be playing. Once you have taken a grasp on the complex gameplay and have figured out build types, unit capabilities, and tech trees, this is one game in which you will never want to put down.